This past weekend I took full advantage of all the beautiful treats living in Los Angeles has to offer. Saturday I went wine tasting in the Malibu Hills, visited Calamigos Ranch and ended the night at my favorite spot The Old Place. It was a pretty awesome afternoon. 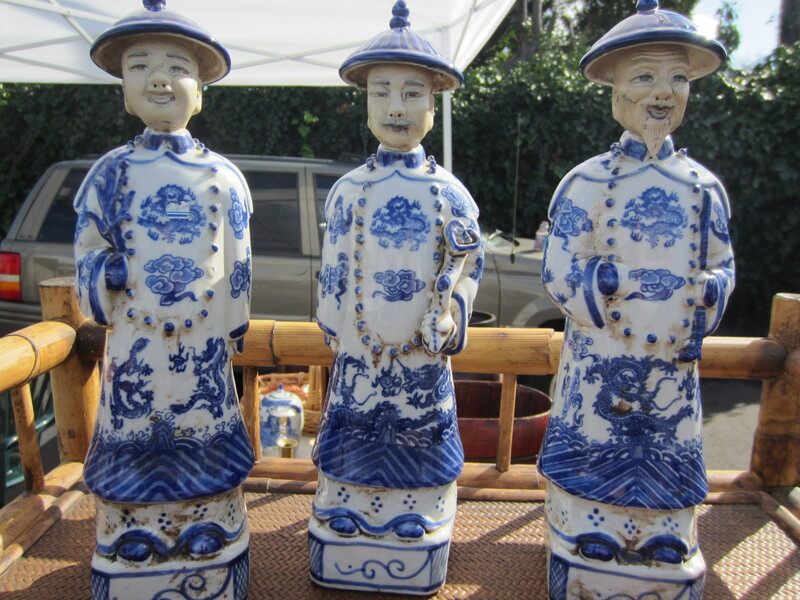 On Sunday I visited the Art Los Angeles Contemporary at the Santa Monica airport and hit up the Santa Monica Antique Market unexpectedly. 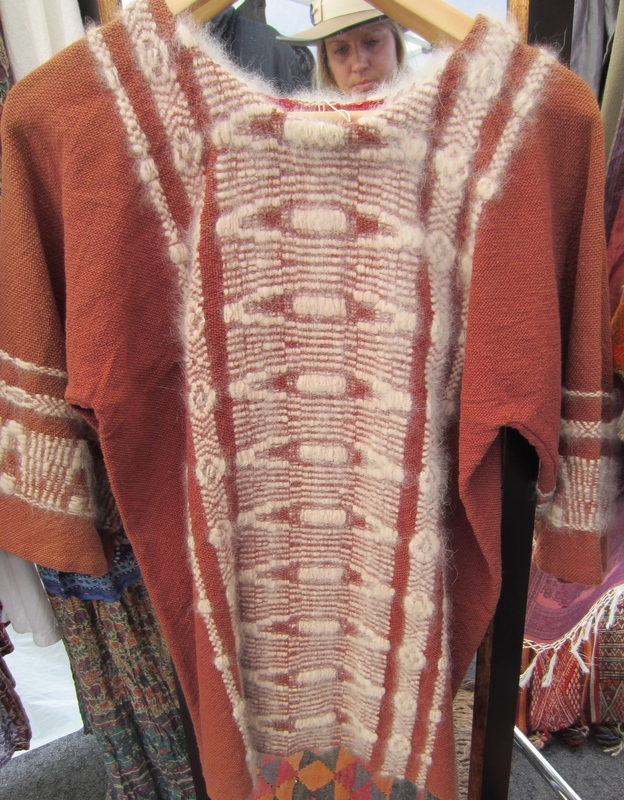 It was a really good one and I spied waaaaay too many things that I wanted to take home. I had to practice a lot of restraint and I did some major editing. But I had to share all the good stuff with you! 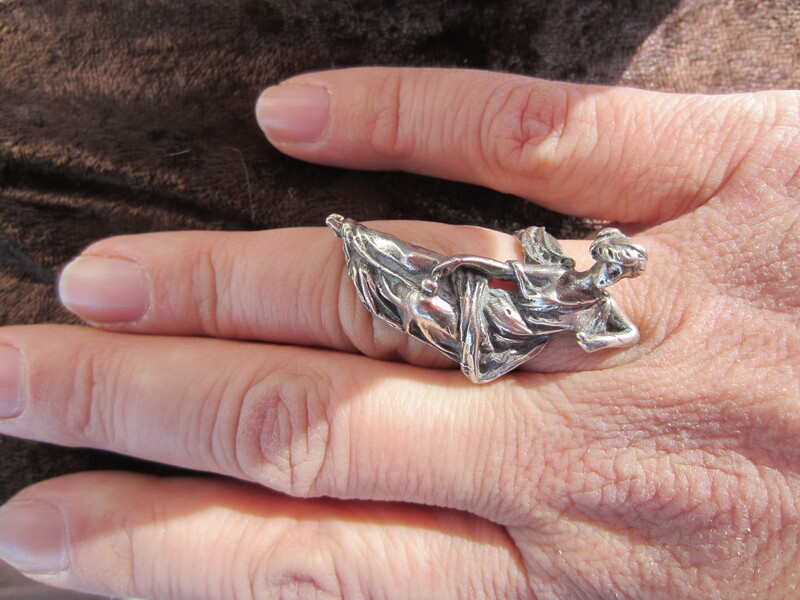 Take a look below at a sampling of my favorite things. 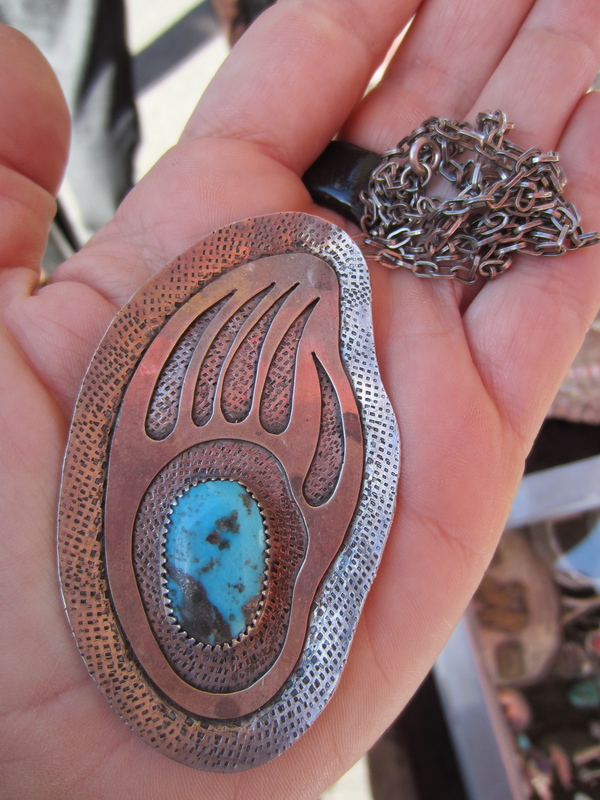 There was a lady visiting from Oklahoma that had some of the best silver and Native jewelry that I have seen in a really long time. 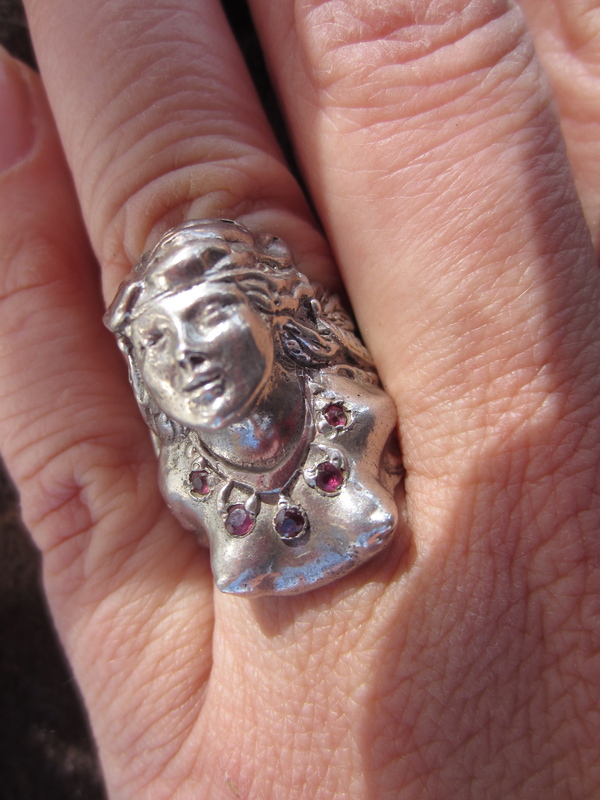 I spent around an hour pulling out pieces, trying them on and listening to her tell the story of the piece: where it was from, what tribe made it, the year and all about each special detail. She was awesome and had so many things I wanted! 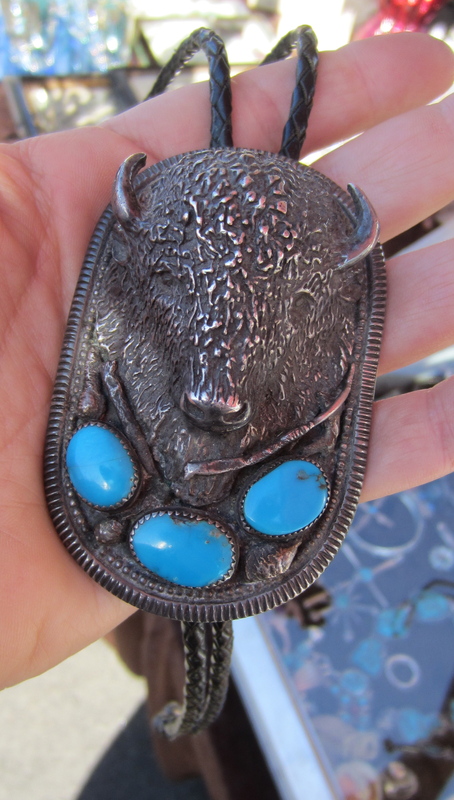 This buffalo bolo tie really blew my mind. Hand carved detail is really incredible. 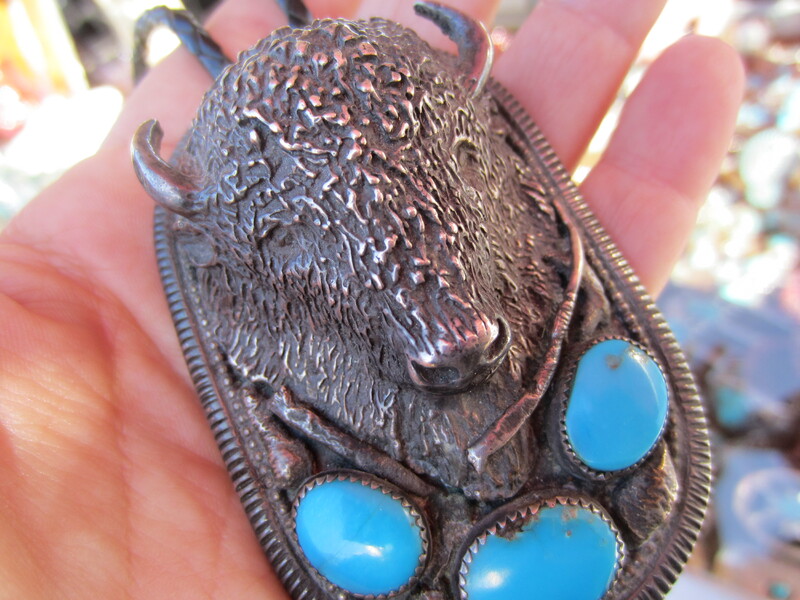 This pendant was so delicate and beautiful and I love how it was combined with the strength of the bear paw. 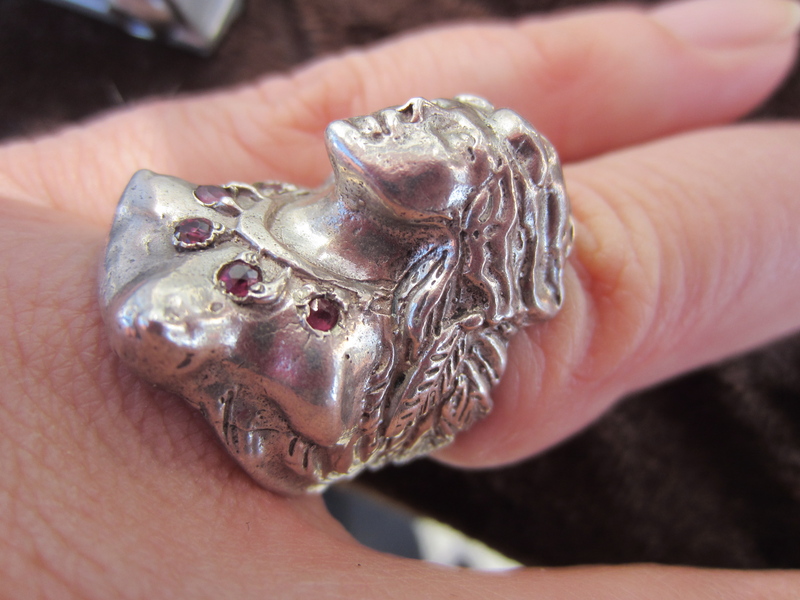 I really fell in love with this Indian princess ring with a ruby necklace on. Look at the detail of the feathers hanging down on one side. It’s painful that I didn’t buy this girl. 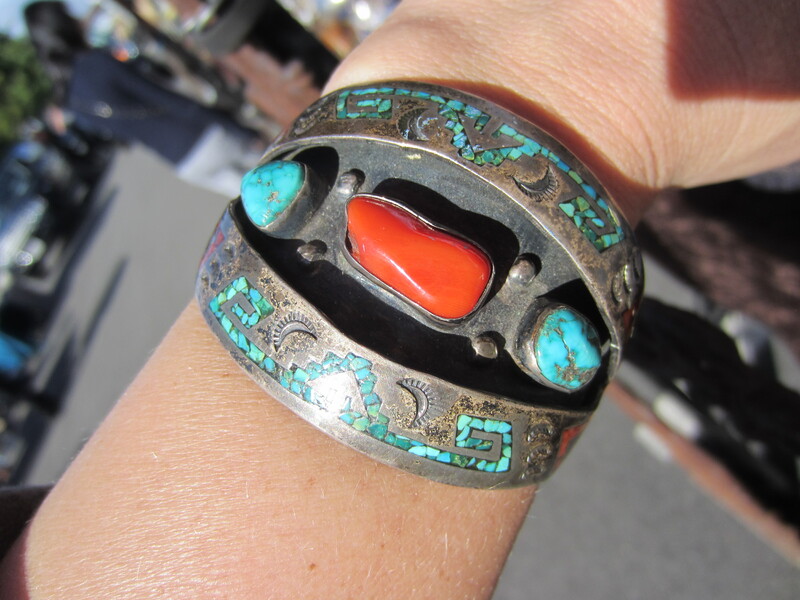 This cuff bracelet was Zuni which most people wouldn’t guess. The inlay was so amazing and this was a very significant piece. 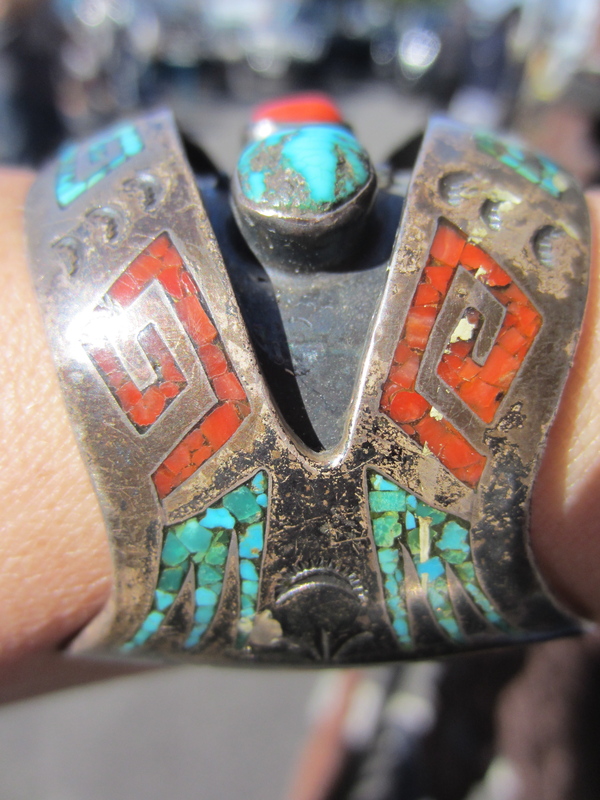 The design of the shadow box within the cavity of the cuff is so unique. Quite a special piece! 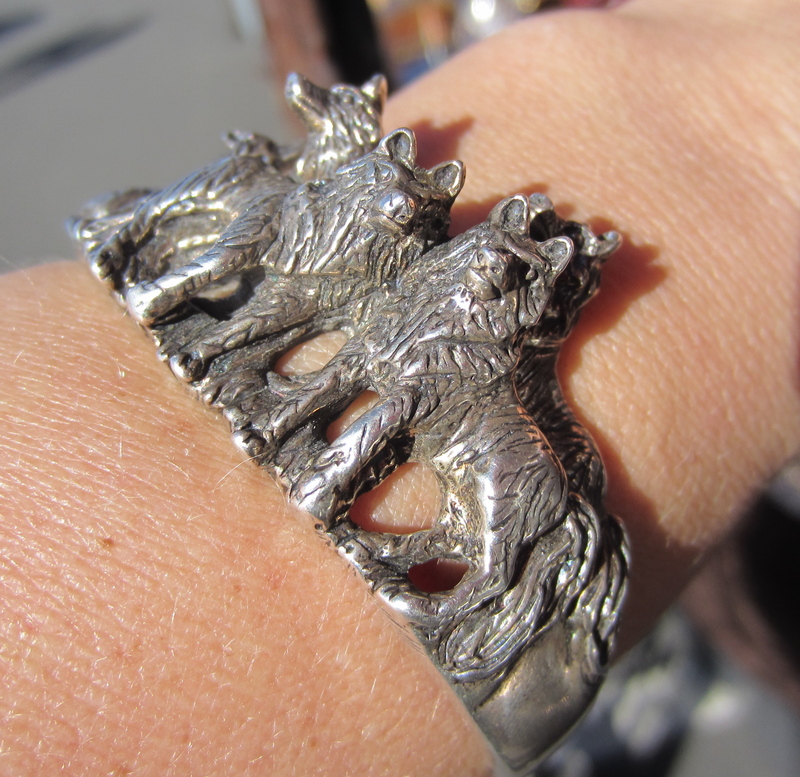 Animals on a cuff bracelet? YES! Especially when it is a wolf. 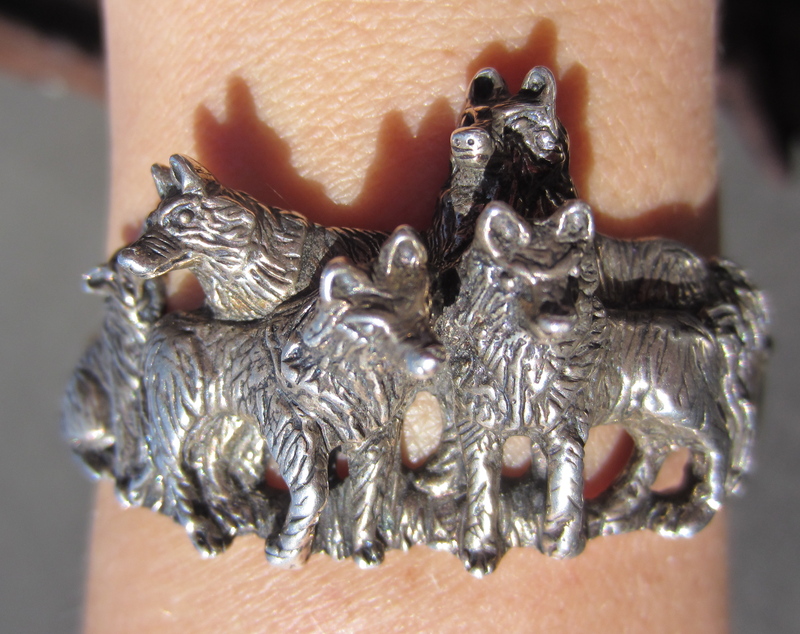 Each wolf had its own thing going on, loved this. 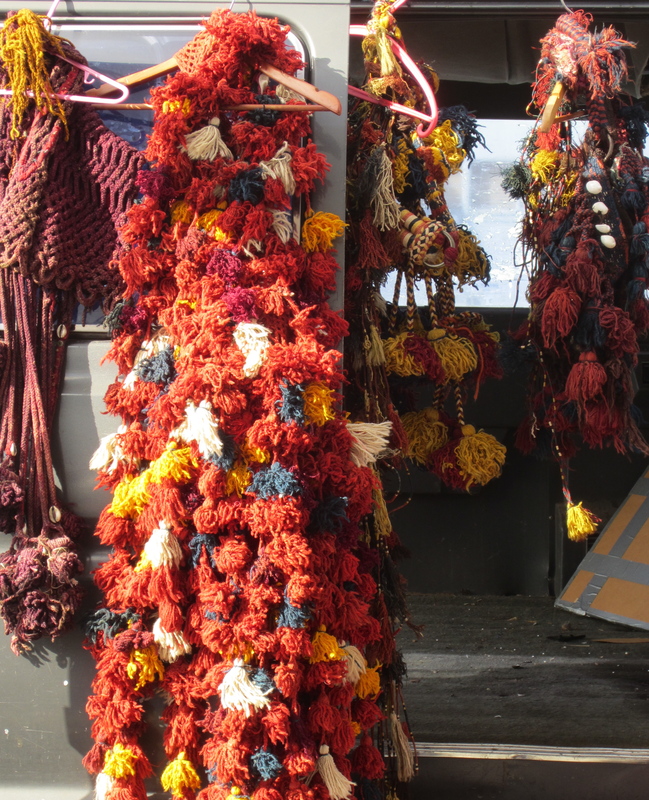 Looking like a fun color palette for spring 2014 forecasting. 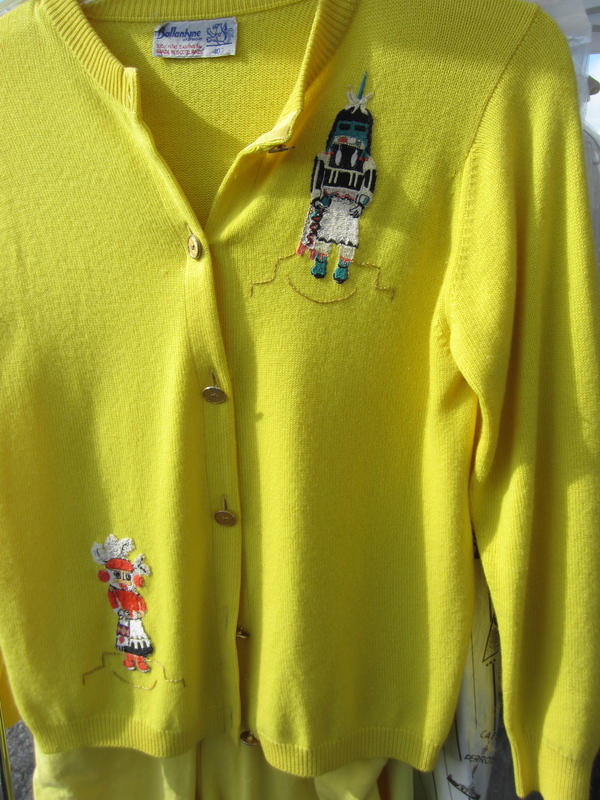 The color of this vintage Ballantyne cashmere sweater was perfect and the Totem embroidery was really unique. 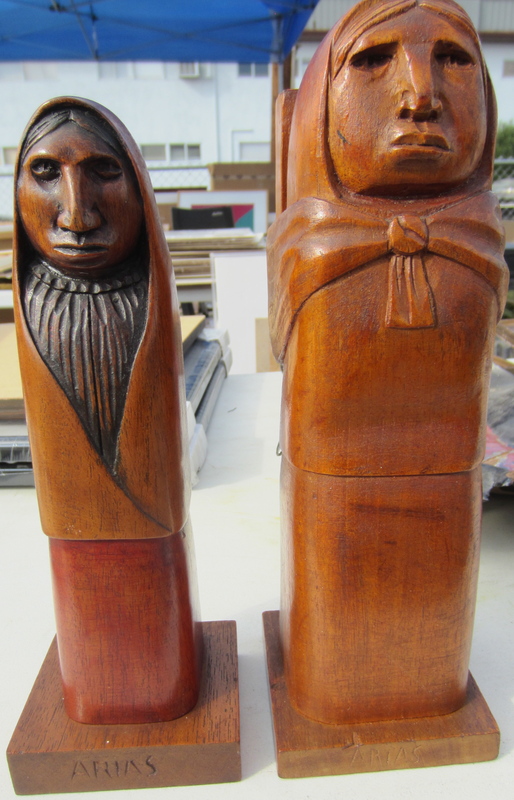 Love these guys, don’t you want them in your house looking over you? 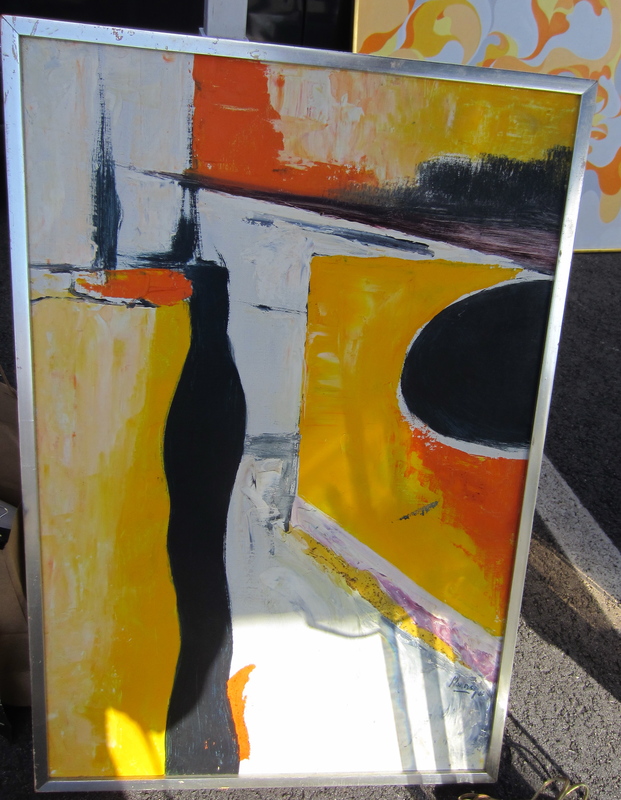 I have another piece by this artist. I’m a fan. The colors and the texture in this really excite me. 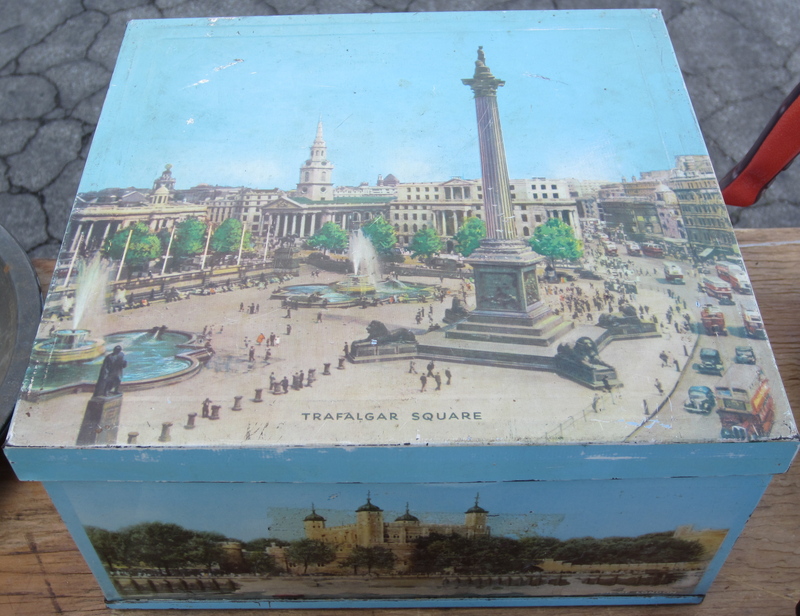 This was such a cool vintage box with old scenes from all around London. Great to put photos in. 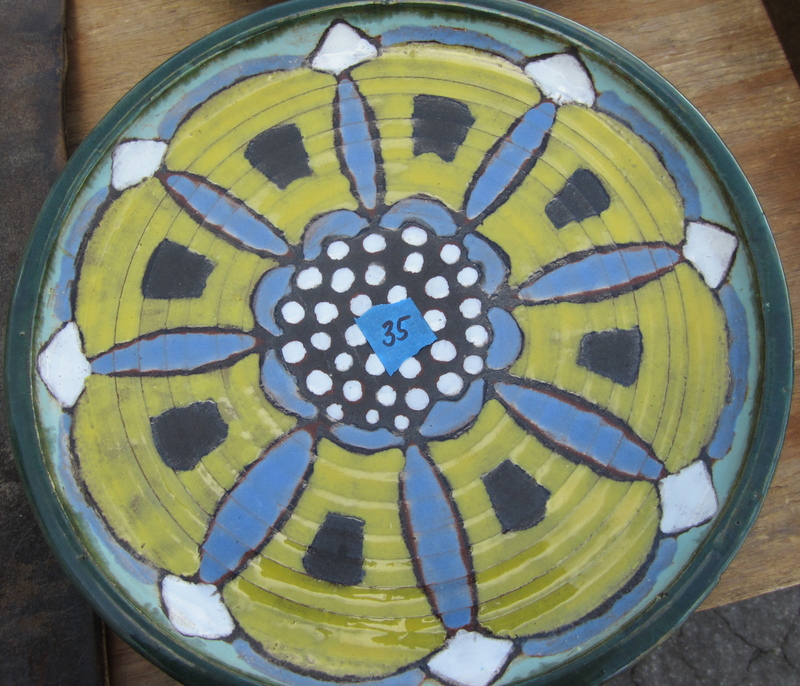 I love everything about this mid-century ceramic plate. 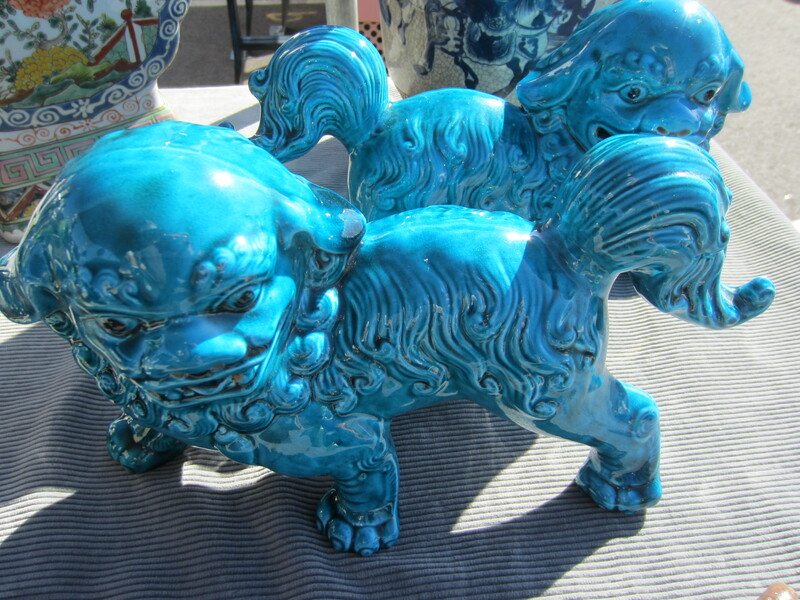 You can never go wrong with a pair of turquoise foo dogs. 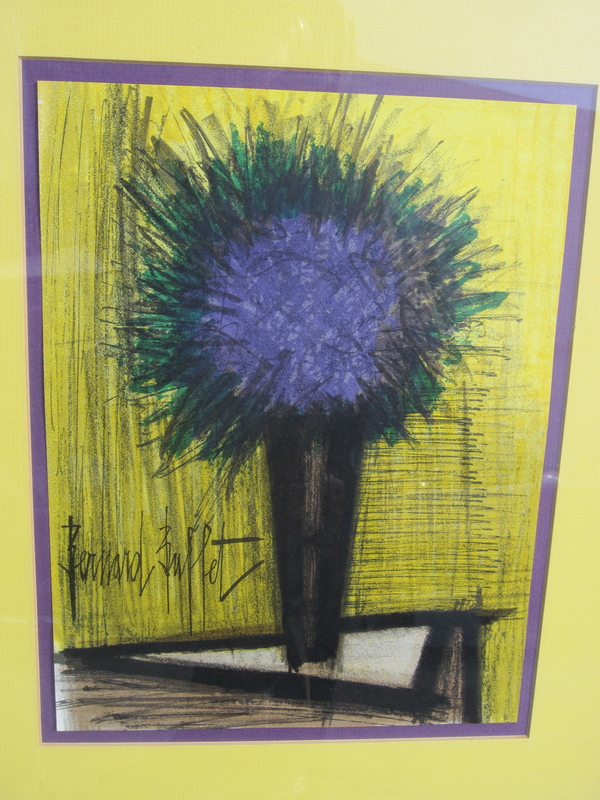 This piece by a Mexican artist was so special. 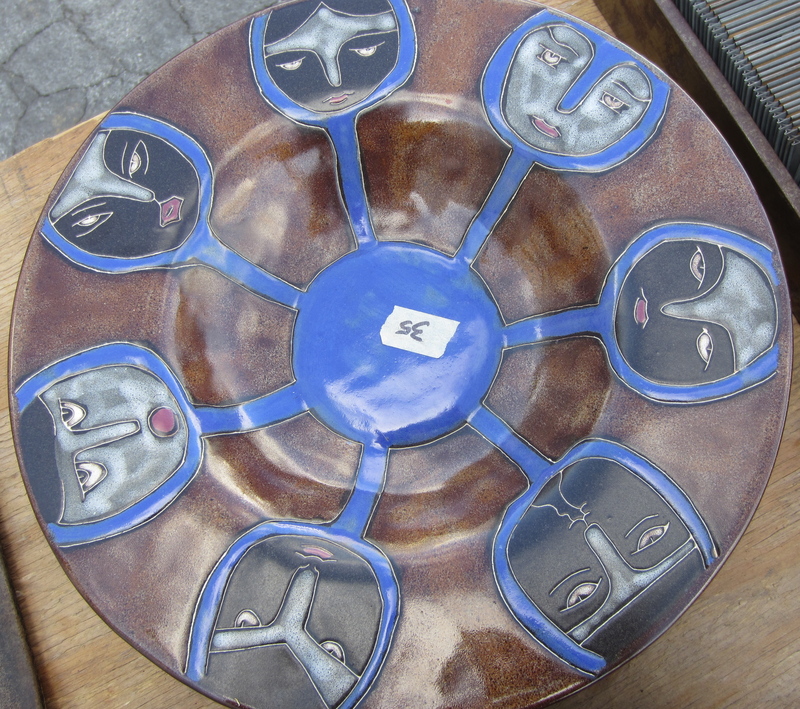 Each face is unique and the color combination has just the right amount of earthiness. 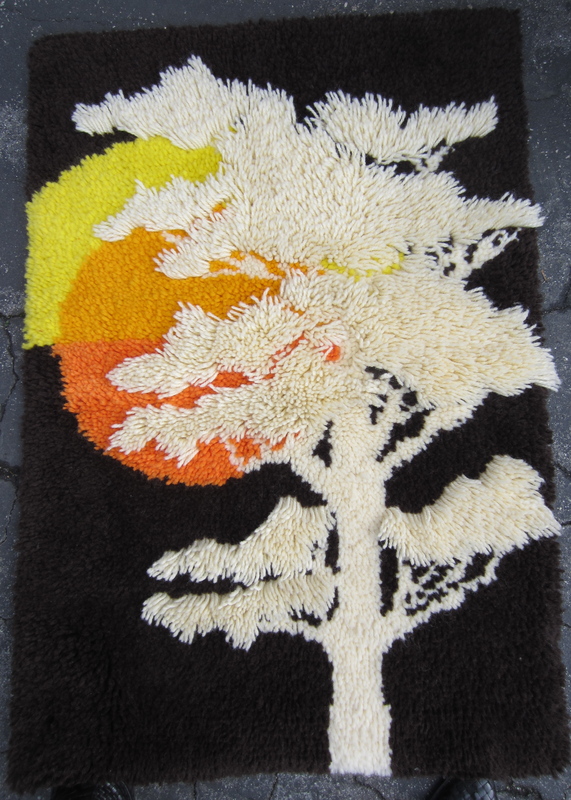 Textures from the earth and colors from the sun. The combination feels really right. 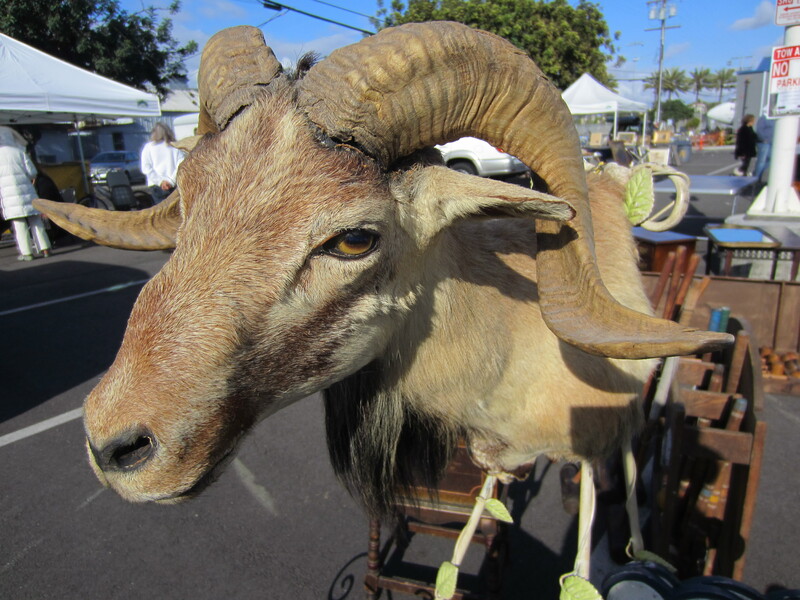 I do really love a great piece of taxidermy in the mix. This guy was a goodie. 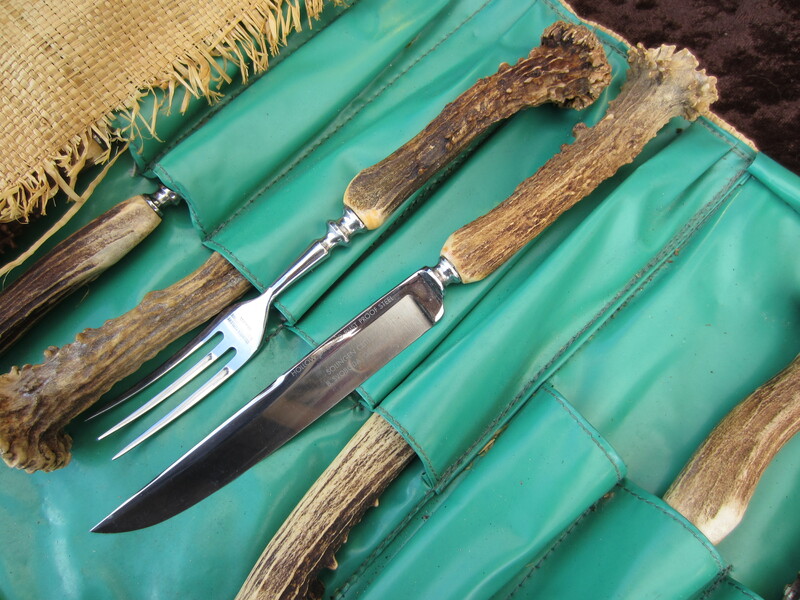 A set of silverware made from antlers. AMAZING! 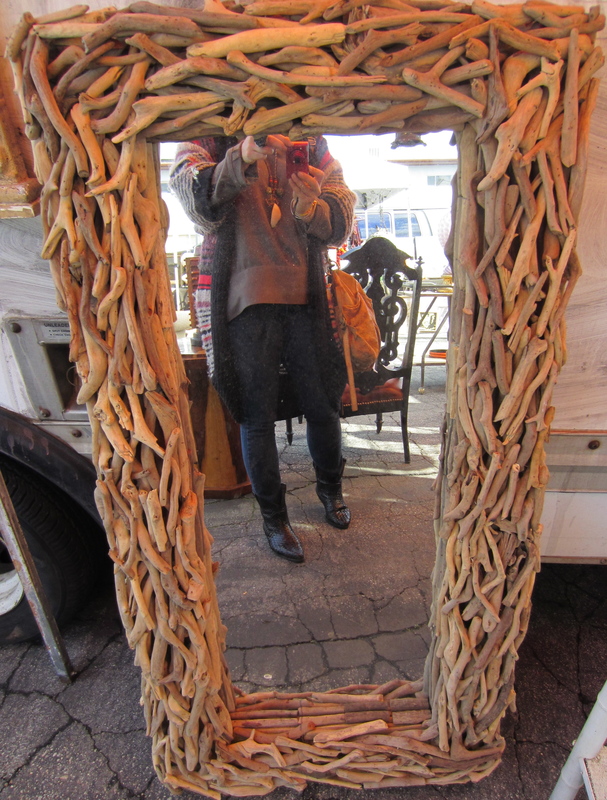 Driftwood floor mirror was pretty fantastic. 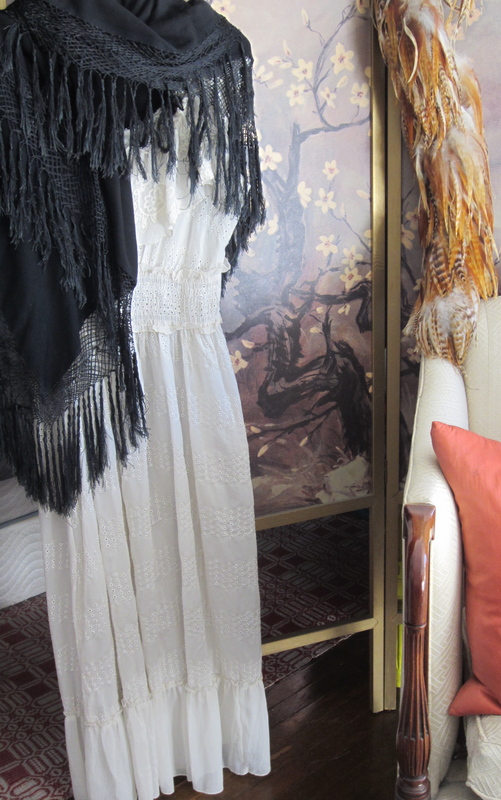 Love this palette and would love this in a room decorated with a lot of white. 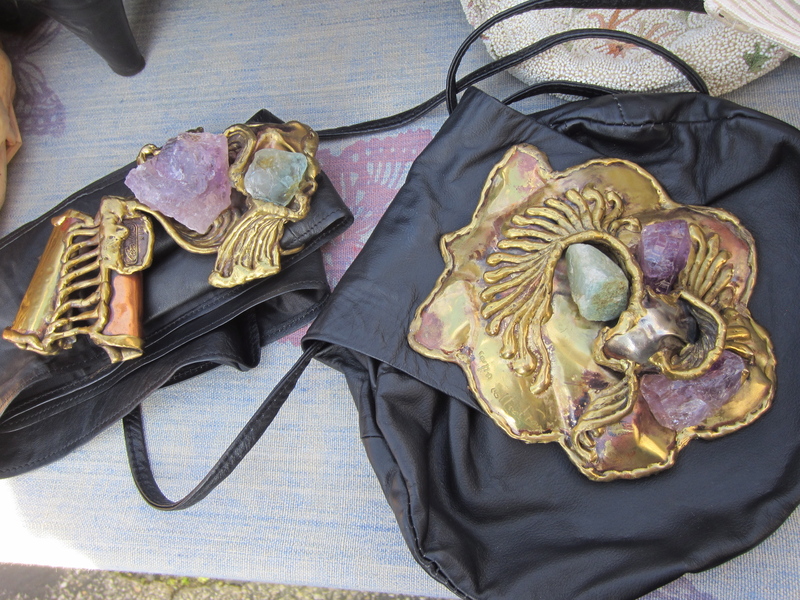 Amazing hand made brass and amethyst buckle and purse. I really wanted the buckle but she wanted to sell as a set. and a nice compliment to one another. Love this on a wall in a super fun 70′s room. 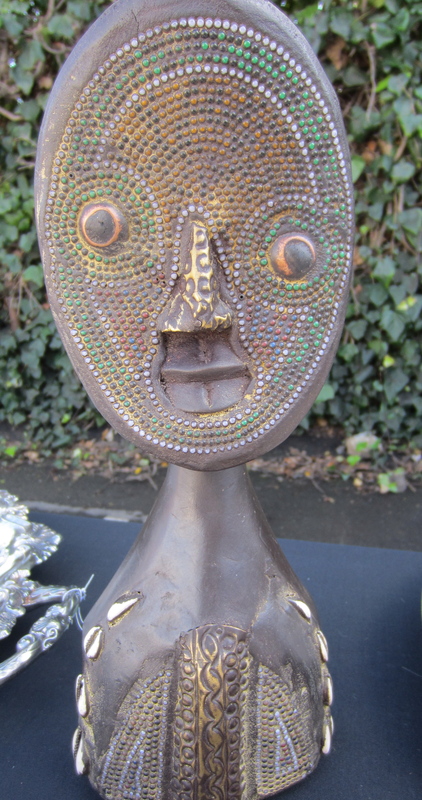 I love the aboriginal feeling of this carving as well as the symmetry of his features. Crazy but really good at the same time. 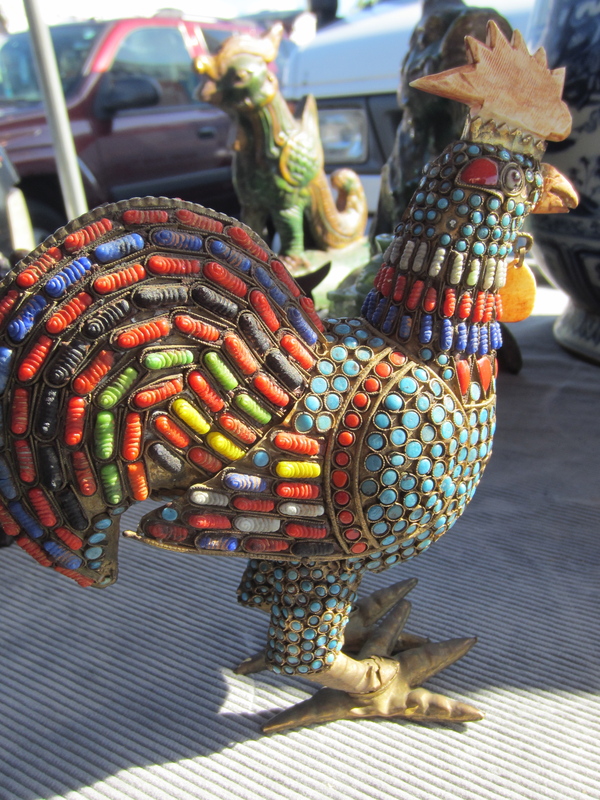 Love this Mexican chicken. So colorful, so fun for my kitchen. 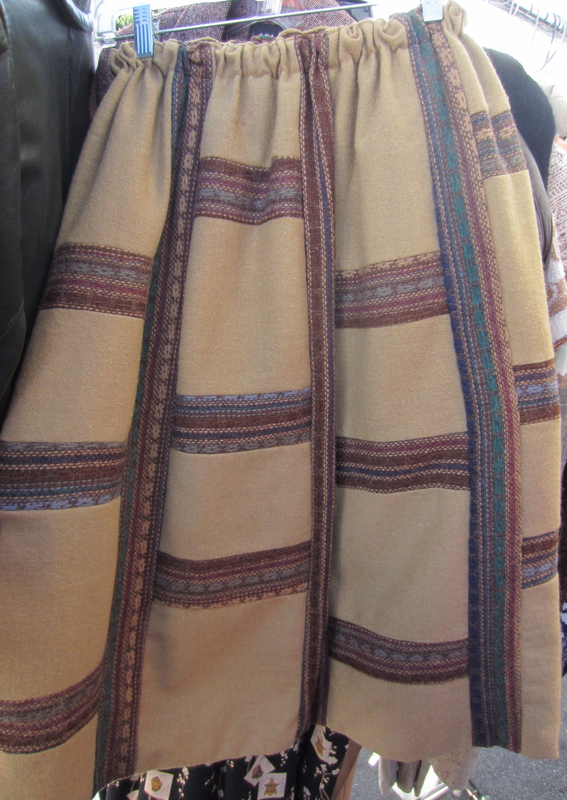 Great skirt design using various textiles and techniques to create the mixed media feel. 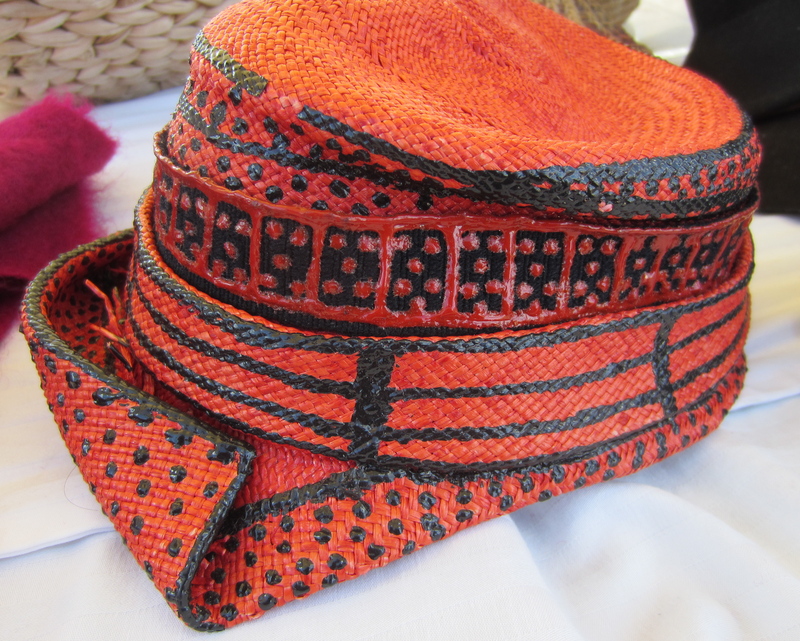 Very unique vintage straw hat. I only made it home with a few things, but I’m really excited about each one of them! This vintage embroidered chiffon dress and fringe scarf really help me channel my inner Frida. 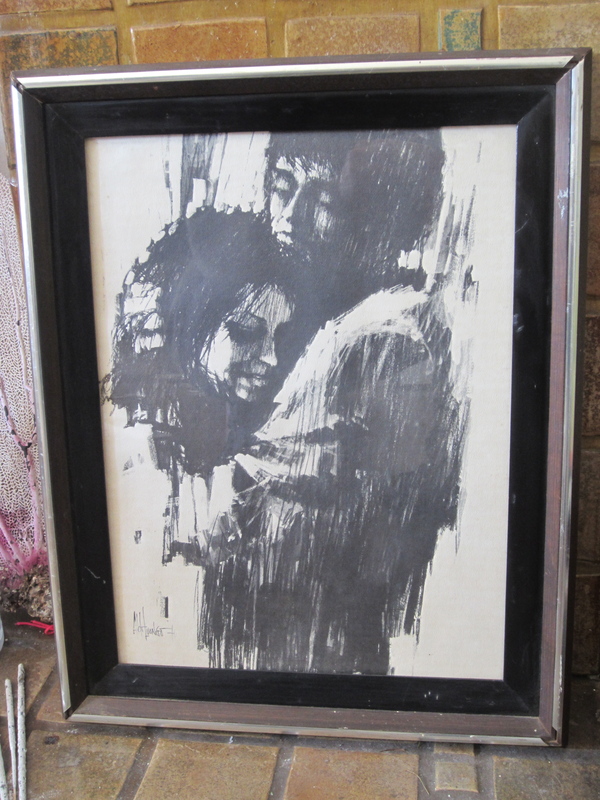 I fell in love with this charcoal drawing. It’s so sweet and gives me a really hopeful feeling. 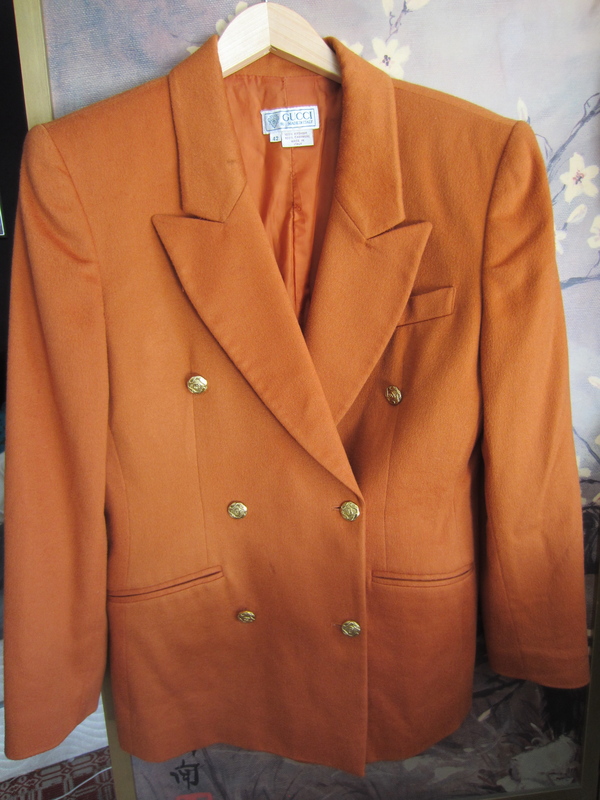 So happy about this cashmere vintage Gucci blazer! Especially after seeing all of those menswear outfits at couture. But seriously, this color is crazy good. 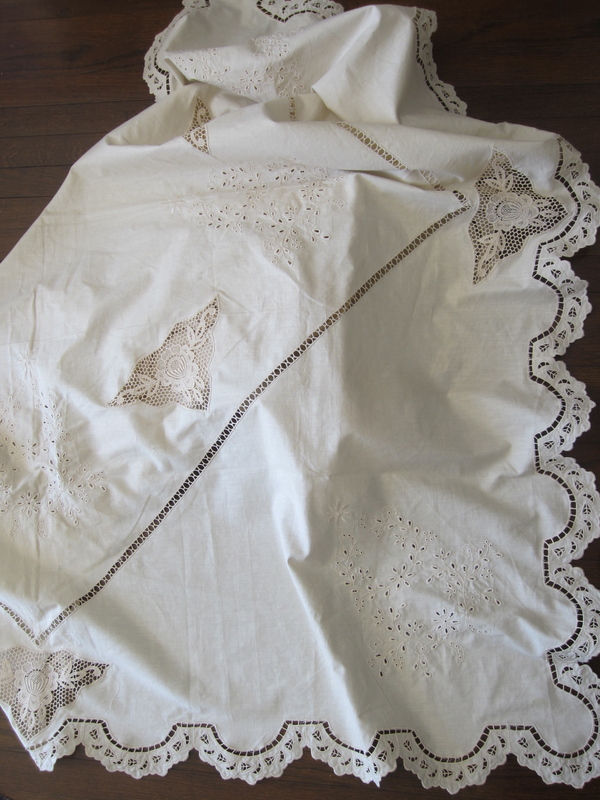 For my future home I bought a beautiful vintage linen tablecloth. I can’t wait to use it! Stay tuned this week to see all of my favorite art that I spied at The LA Art Show and the Art LA Contemporary this past weekend. 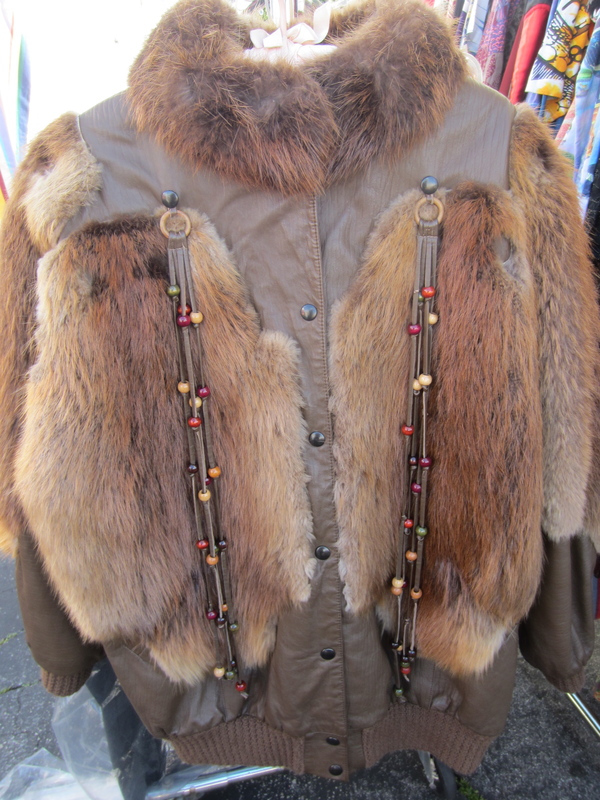 I hope you were inspired by my stroll through the market. I will definitely be going back there next month! You saw some beautiful things!